If you're looking for cheap ebooks, check out http://bargainebooks.blogspot.com. The site features ebooks that are priced under $5.00 and a new books posts every 24 hours. Authors are welcome to submit books to be included, and readers are welcome to recommend cheap finds. It doesn't matter if a book is traditionally or independently published. The site is the brainchild of Holly A. Hook, herself an author of young adult fantasy books. 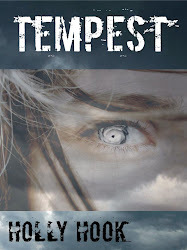 Her first Kindle book, Tempest, is available now on Amazon and Barnes and Noble, and is the first book in the Destroyers series. You can find lots of great reads on the site so pop over and take a look.